The start of Friday night’s Phillies game against the Rockies was painful to watch. Cliff Lee did not start off very well, allowing 2 runs on 3 hits in the 1st inning. Michael Martinez made an error at 3rd base, which extended the inning. In all, not a great beginning. But Lee settled down after the 1st inning snafu. 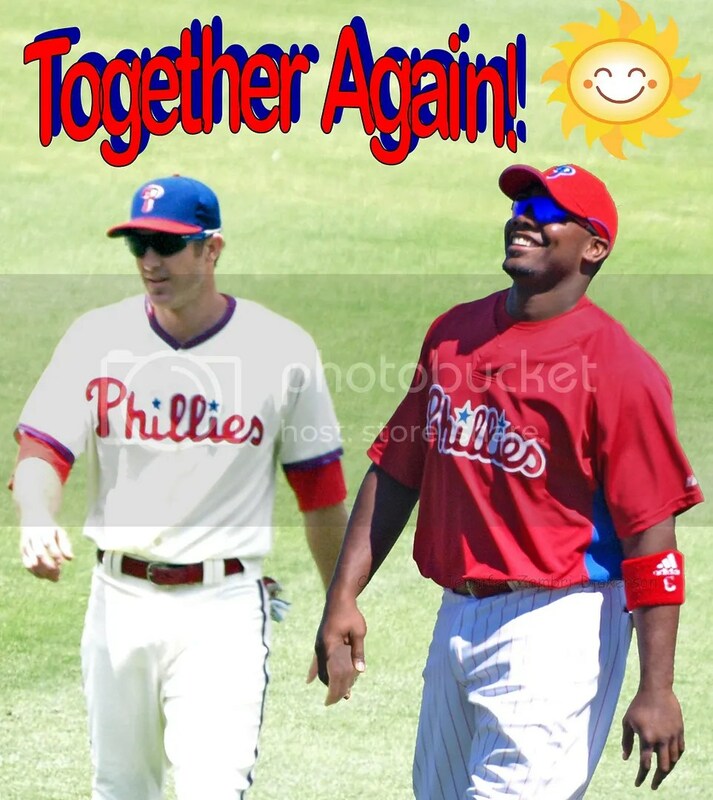 However, the Phillies offense seemed content to keep blowing opportunities. Ty Wigginton got a rare start at 1st base, but the rust from sitting on the bench was very apparent. He struck out in all 3 at-bats, twice when there was 1 out and a runner on 3rd base. Worse, Juan Pierre was on base both times and managed to steal 2 base the second time around. Still, Wigginton could not get the runs home. Clearly not his night, manager Charlie Manuel decided to pinch hit for Wigginton in the 7th. That move proved to be a momentum changer as Laynce Nix smashed a 2-run double to tie the score. 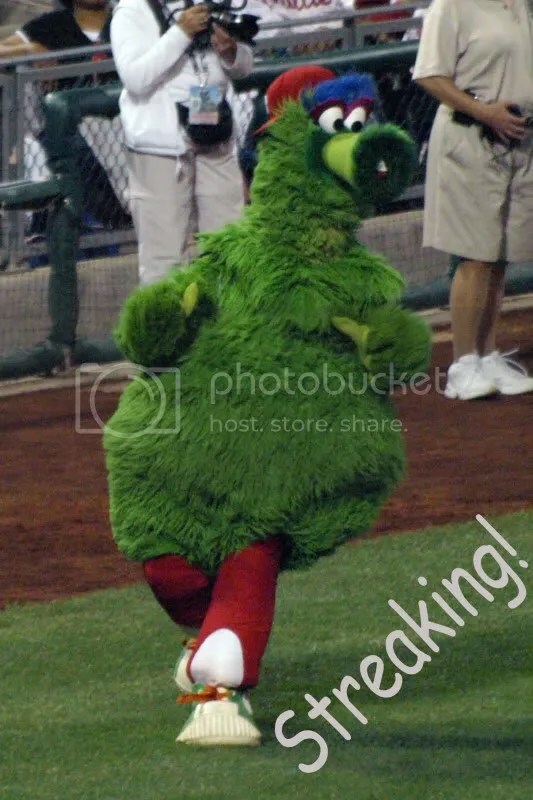 Then 4 bullpen guys held the lead from the 7th to the 9th inning, giving the Phillies a chance to win. In the bottom of the 9th, Jimmy Rollins worked out a lead-off walk and Pierre, already with 3 hits on the night, put down a sacrifice bunt to move the runner over. The Rockies intentionally walked Chase Utley and Nate Schierholtz stepped to the plate as a pinch hitter. A wild pitch moved Rollins to 3rd and Schierholtz then singled to right, scoring Rollins for the walk-off win. This has been a tough year for Schierholtz who got traded here from the Giants mid-season, giving him hope of more playing time and a chance to prove himself. But a broken toe sidelined him in mid-August, just as he was getting comfortable in the line-up. Schierholtz was activated off the DL on September 1st and had not had a hit since returning until last night. That walk-off single had to be quite a relief for him. The Phillies have two more games with the Rockies; Cole Hamels will pitch tonight and then Tyler Cloyd on Sunday. I will be attending both games and hope to return with some photos if the weather cooperates. Game time tonight is 7:05pm. Yes, it is the 4th of July. But more importantly for the Phillies, it is Cliff Lee Win Day! Appropriately, fireworks and celebration will be seen all over the land! It only took 3+ months and 83 games, but Lee finally won a game. Hey, you know what Lee’s favorite holiday is? That’s right! 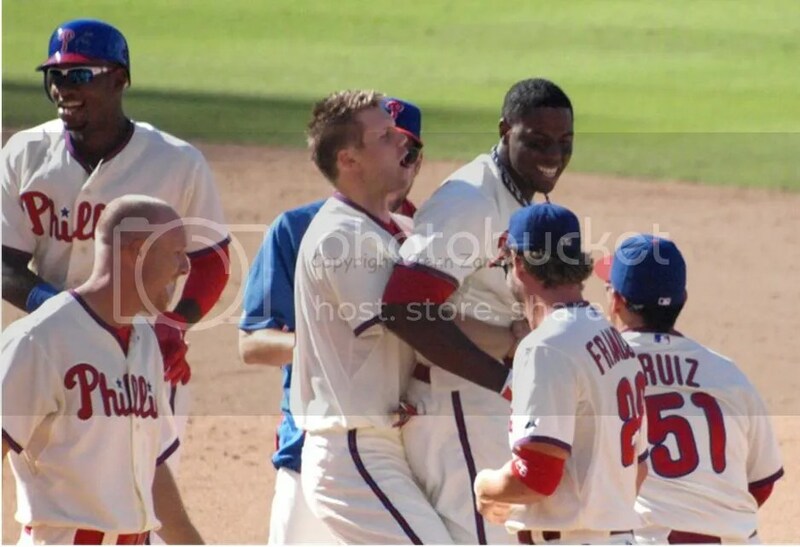 Independence / Cliff Lee Win Day! Over 8 innings against the Mets, Lee allowed just 2 runs, one of which was a solo homer. He struck out 9 batters and only walked 1. 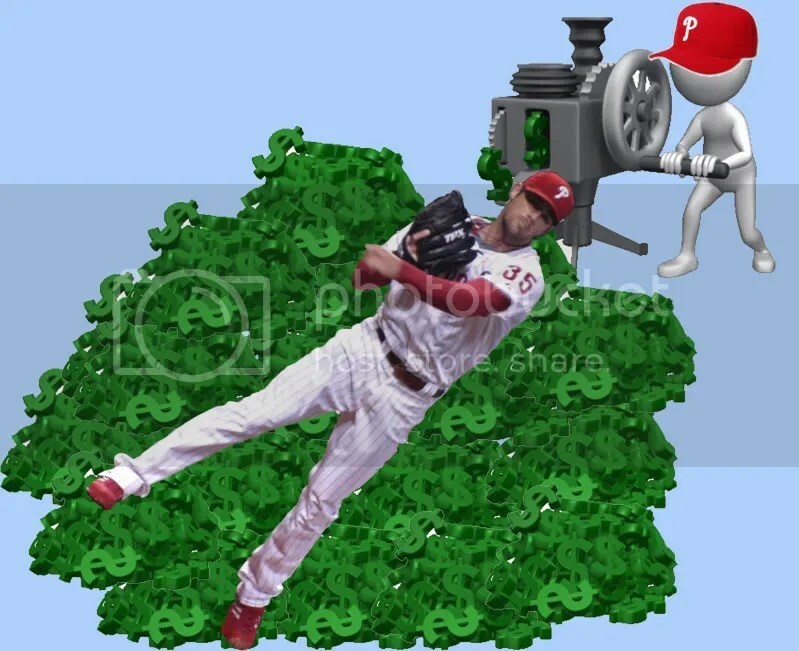 THIS is the Cliff Lee we have all been missing. Finally, he is back! This day was also the first win for Chase Utley. 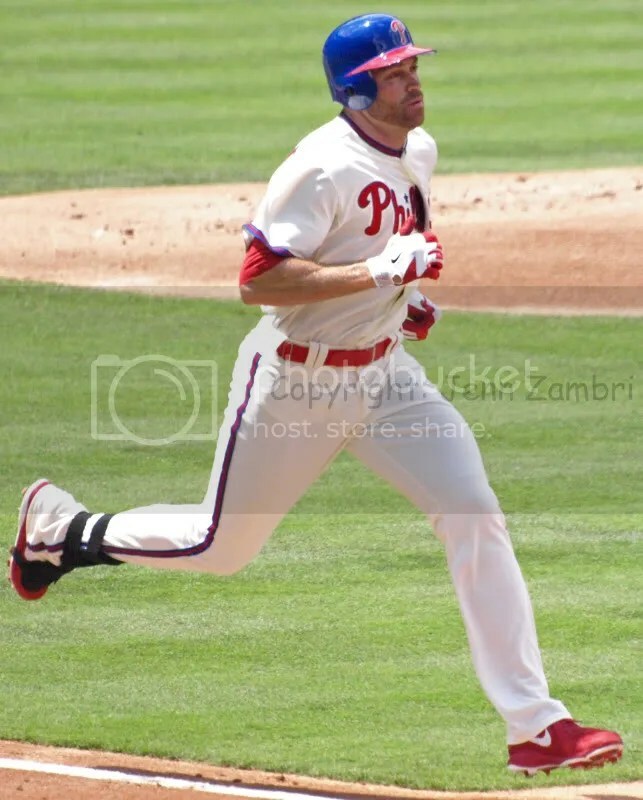 7 games ago, Utley played his first game of the year after a long rehab of his shoddy knee(s). In that game, he hit a home run in his first at-bat and then Carlos Ruiz did the same right after. Oddly enough, that combination set off a 6-game losing streak. But tonight, Utley and Ruiz went back-to-back again, apparently spinning the universe back into the correct direction and producing a Phillies win. The earth is back on its axis and gravity is once again in proper alignment. Whew! That home run combo gave the Phillies a 3-2 lead which they added onto in the final two innings. Jimmy Rollins no-hit streak ended and he drove in 2 runs. And Ty Wigginton added 2 more RBI with a home run in the 9th. So both Utley and Lee get their first wins of the year with a 9-2 final score. After the game, Lee had bear hugs for Chooch and was later greeted with a chilly Gatorade bath. Could this be the big win the Phillies needed to get back on track? We can only hope so. Certainly, we can at least see that this team is still capable of winning. Game 3 with the Mets starts tomorrow at 7:10pm. Cole Hamels will have to face R.A. Dickey; the knuckleballer has been on fire this season. 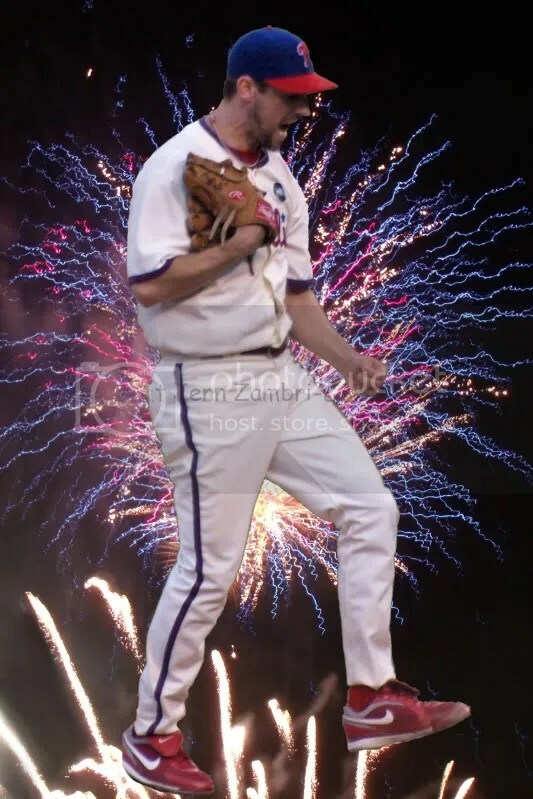 But in the meantime, sit back, relax and enjoy the fireworks in honor of Cliff Lee Win Day! Whoo hooo!